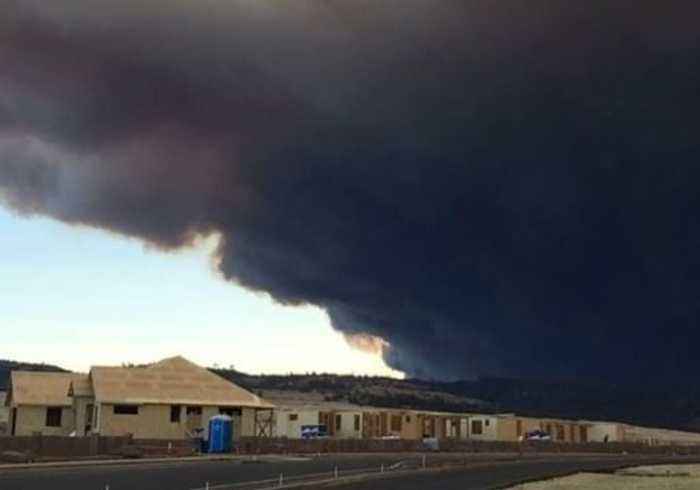 A wildfire burning in Butte County, California, exploded to 5,000 acres in its first three hours on Thursday, November 8, prompting evacuation orders for the city of Paradise and darkening the skies for miles around. Utilities officials said several thousand customers had lost power because of the fire, which started in Feather River Canyon. This video was shot in Chico.